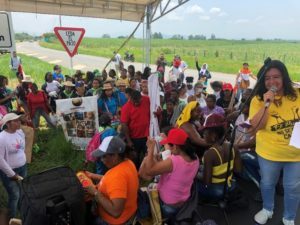 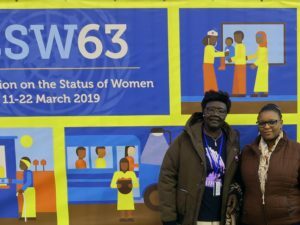 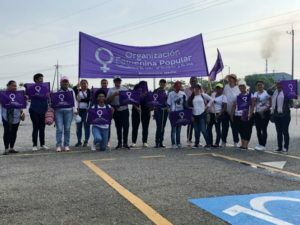 For International Women’s Day, members of the Organización Femenina Popular (OFP) travelled to Santander de Quilichao, Cauca in southwestern Colombia to partake in a national day of action for women’s rights. 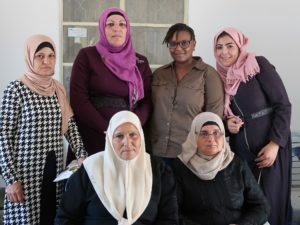 The mobilization was co-organized by the OFP, one of KAIROS’ partner organizations in the Women of Courage: Women, Peace, and Security program. 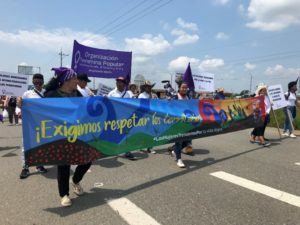 Diverse women’s rights organizations gathered in Cauca to raise their voice as one to demand respect for life, defend territory, and call for a political solution to armed conflict. 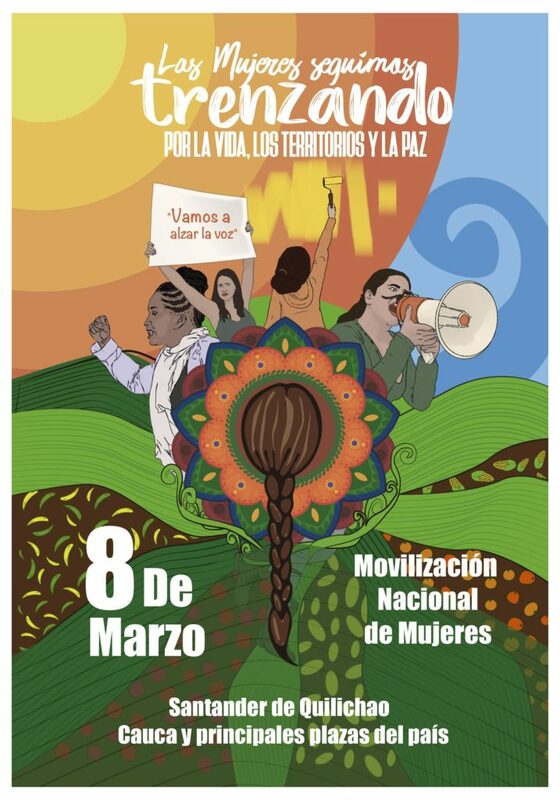 Following are some photos from the OFP of the national day of action for women’s rights.